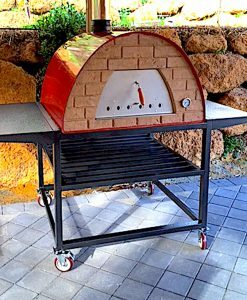 Ask a happy owner and he will tell you: it’s not just an oven, it becomes part of the home, part of the week-ends, part of beers with friends, part of backyard parties, part of Sunday family dinners. Let it become part of your life too! 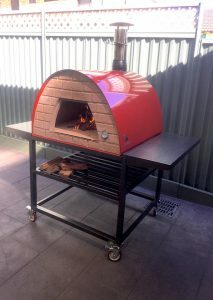 I must say , my Etna pizza oven has been a draw card in the garden with everyone wanting to have a go on the peel . It certainly has been fun and laughs when sometimes the pizza sticks to the peel and ingredients come flying off onto the oven floor. More flour, more flour we chant. I think its only a matter of time before my brothers invest in their own oven. 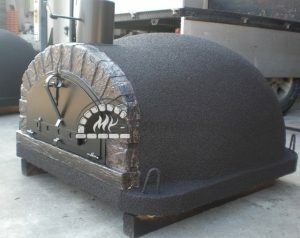 We LOVE LOVE LOVE our wood fired oven! 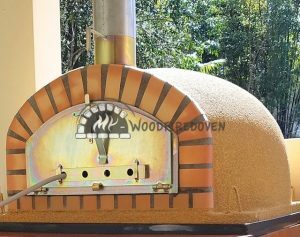 We use it 2 or three times a week and have cooked some amazing meals in it, not just pizza but roasts, pork ribs, slow cooked lamb shoulder, stuffed vegetables etc. but what we are thrilled with are roast potatoes. Roast potatoes in the wood fired oven have a superb flavour, we are totally converted!! Usually my husband Wayne takes charge of the fire and I take care of the ingredients. When we have guests we ask them to join in and make their own pizza, it’s lots of fun and interesting to see how other people dress their pizza. 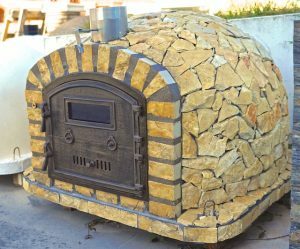 Your oven has brought us hours of entertainment and many memorable and delicious dishes. Thank you again Christi & Guiseppe. 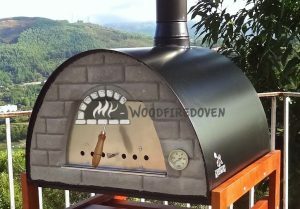 Check out all customer reviews per oven type in the product information. My Maximus is marvellous, so many advantages comparing to the one I had. It’s really ready to go in 20 minutes and cooks the pizzas really well in not even 2 minutes, it’s crazy… I make the pizza dough as you suggested 3 days ahead with the Caputo flour. Everybody loves it. That’s all I can say: I love it. 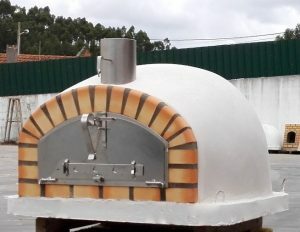 My Etna wood oven is going fantastically. I’m very happy with it and the pizza and sourdough bread I’ve cooked turned out so well the first time we tried….. Thought I may have needed some practice but it went so well straight from the start. I’ve also told some people about your website and how happy I am with your service and products. 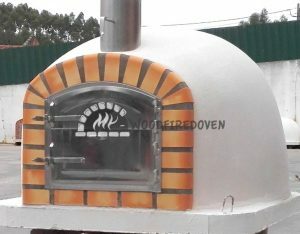 Thanks again…..
We are absolutely loving our gourmet oven! We cook in it almost every weekend and love entertaining guests with delicious food. 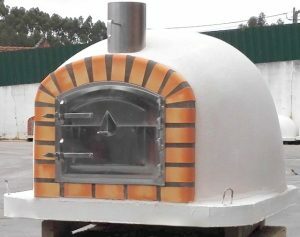 Here is a picture if a beautiful loaf of bread we made recently. And here is a dish I cooked with chicken, garlic, olives, white wine and bay leaves, it was amazing!! 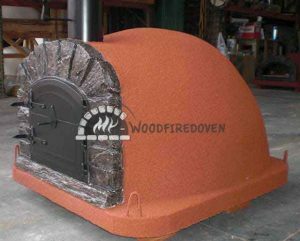 No hassle of assembling your oven yourself, all my-woodfiredovens come completely finished! 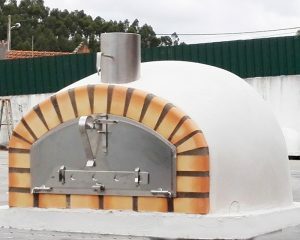 Our wood fired ovens and pizza ovens are enterely hand made in Portugal. 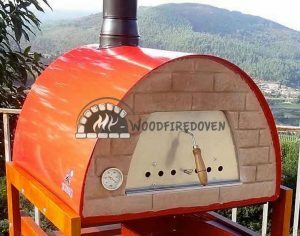 Get the latest recipes and news from My-woodfiredoven.